Ideology is a potent motivational force; human beings are capable of committing atrocities (as well as acts of generosity and courage) and sacrificing even their own lives for the sake of abstract belief systems. In this article, we summarize the major tenets of a model of political ideology as motivated social cognition (Jost et al. in Psychol Bull 129:339–375, 2003a, Psychol Bull 129:389–393, 2003b, Person Soc Psychol Bull 33:989–1007, 2007), focusing on epistemic, existential, and relational motives and their implications for left-right (or liberal-conservative) political orientation. We review behavioral evidence indicating that chronically and temporarily activated needs to reduce uncertainty, ambiguity, threat, and disgust are positively associated with conservatism (or negatively associated with liberalism). Studies from neuroscience and genetics suggest that right- (vs. left-) wing orientation is associated with greater neural sensitivity to threat and larger amygdala volume, as well as less sensitivity to response conflict and smaller anterior cingulate volume. 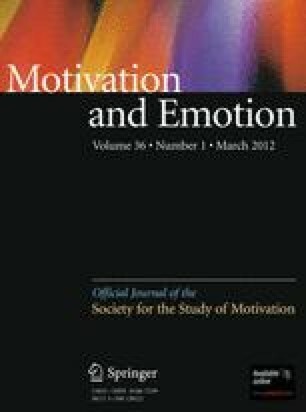 These findings and others provide converging evidence for Jost and colleagues’ model of ideology as motivated social cognition and, more broadly, reflect the utility of an integrative political neuroscience approach to understanding the basic cognitive, neural, and motivational processes that give rise to ideological activity. Work on this article was supported in part by grants from the National Science Foundation to John T. Jost (BCS-0617558) and to David Amodio (BCS-0847350). We wish to thank Jay van Bavel, Alumit Ishai, and Elizabeth Phelps for helpful discussions of some of the ideas contained here.